Panama uses the US Dollar for bills but the national currency is called Balboa. Bank notes are not printed, so since 1904 the US dollar has been the legal tender and US coins are interchangeable with Panamanian coins of the same denominations since similar sizes and metals are used. The dollar bill is called the Balboa, cents are centavos. Prices are often written with $ sign or B/.before the amount. The Panama Canal Zone was an unincorporated territory of the United States from 1903 to 1979. The zone extended 5 miles (8km) on each side of the Canal, excluding Panama City and Colón, but including the lake reservoirs created to assure a steady supply of water for the locks. The Torrijos–Carter Treaties of 1977 abolished the Canal Zone on October 1, 1979. 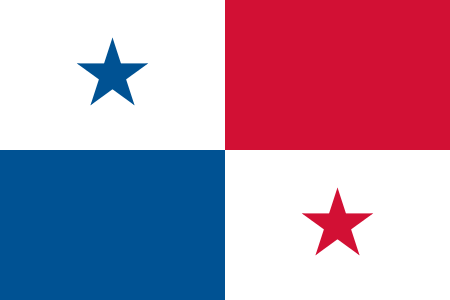 The canal itself was under joint US-Panamanian control from 1979 until it was fully turned over to Panama on December 31, 1999. Each lock chamber is 110 feet wide by 1,000 feet long. The total volume of concrete used to build the locks was 3,440,488 cubic meters. The total construction cost of the Panama Canal was of approximately US$375 million, which included the US$10 million paid to Panama, and US$40 million paid to the French Canal Company for the rights to the Canal. Panama is situated south of the hurricane alley, so is generally not affected by tropical storms or hurricanes.